Somethings good things happen when you really don't expect them to. Such was the case when driving up the coast after a night in Eden, and then skipping some very uninspiring lunch places while passing through the country towns. Just as all hope seemed lost, a strangely fortunate decision to turn down a street in Narooma, simply because there was a blue sign shouting 'Restaurants' (well, not really shouting, but we were starving and a little bit depressed by this stage) took us to what I think is the best seafood cafe I've ever been too. 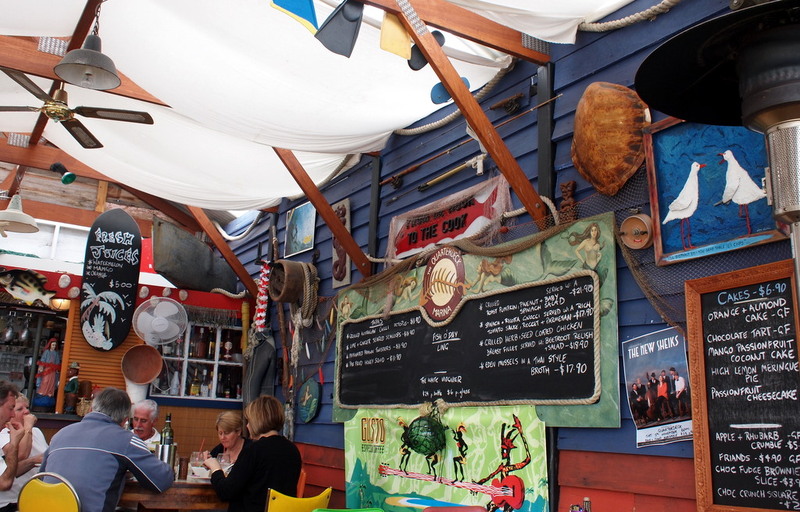 What makes it the best seafood cafe? Let's start with the location - right on the waterfront, overlooking the marina with a glorious view of the still water. The interior of this very chilled-out cafe was amusingly decorated. I say amusingly because it wasn't 'well' decorated by any stretch of the imagination, but it was charmingly Hawaiian themed and it really didn't hurt that the owner proudly wore a brightly coloured Hawaiian shirt as he greeted and served customers. Fish of the Day (Ling)But oh my, the food was absolutely amazing. Without doubt the best fish and chips I've ever had. The Ling was sweet, fresh and tender, and very, very lightly battered. There wasn't the faintest hint of oiliness, only a slight crispness when you took a bite. The only problem was that there wasn't enough of it, but you always need to leave room for other food, maybe. That sentiment is definitely debatable in this situation - the fish was just that good. 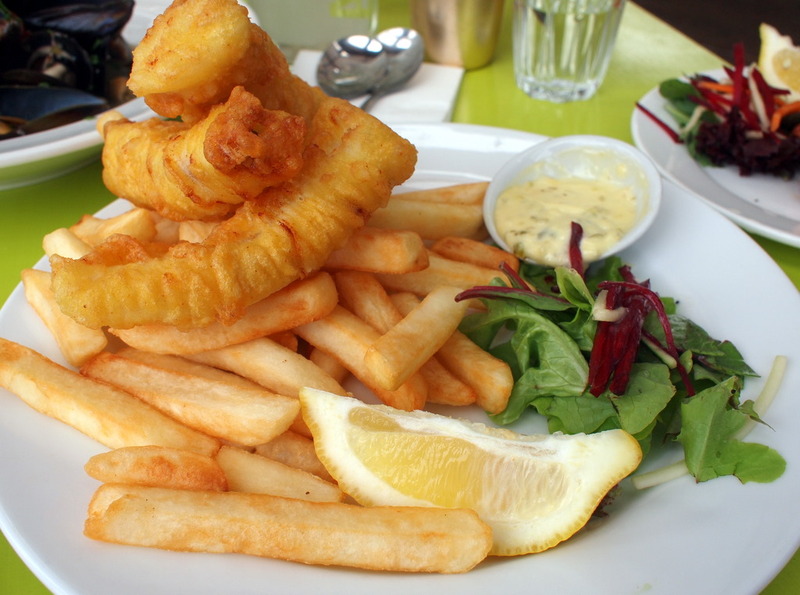 Once the fish was eaten, it was on to the chips. I don't particularly like chips, but I ate more of these than I usually would/probably should have, so they definitely weren't bad. We also ordered the Eden mussels in a Thai-style broth. Don't they look so appetising? The mussels were so fresh! As it should have, the broth tasted predominantly of the mussels, and with the vaguest suggestion of Thai flavourings. 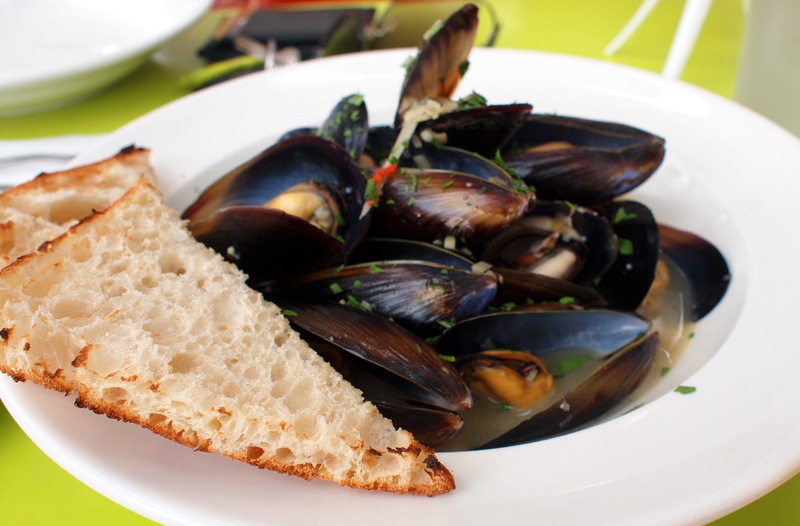 A heavier hand with the sauces and flavours would have completely masked the amazing taste of the mussels. I guess when you have such good quality seafood, a good restaurant knows the very fine line between enhancing and overpowering the star of the dish. Did I mention that the owner was lovely? No? Well, he also gave us a free serve of grilled octopus. It turns out that this place can do no wrong. Once again, the seafood was fresh and tender, and the spices didn't overpower the octopus with the chilli lending just a little kick to the dish. Another point for this place was that our meal came to less than $35 (including a coffee)! They could easily charge more for the quality of food they're providing, but if they choose not to, I'd be the last to complain. 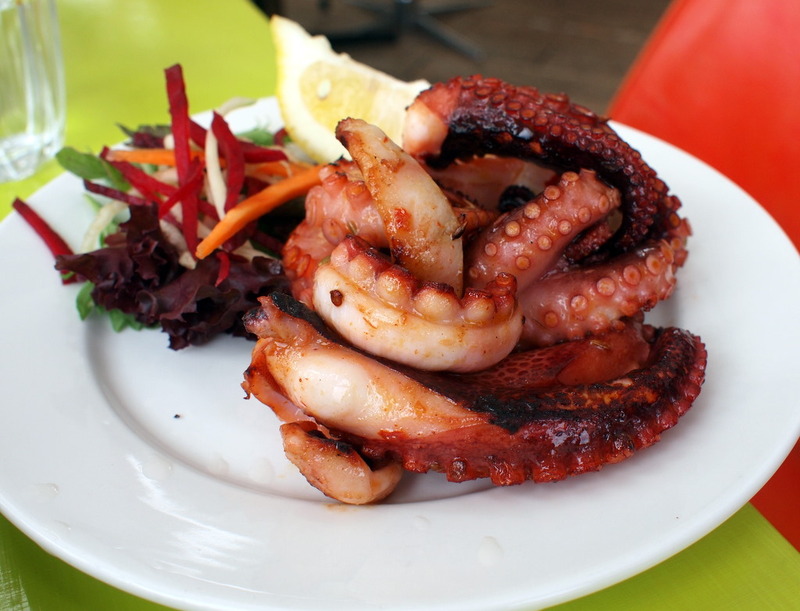 We've been told that the scallops or the baby octopus salad are also a must try next time. 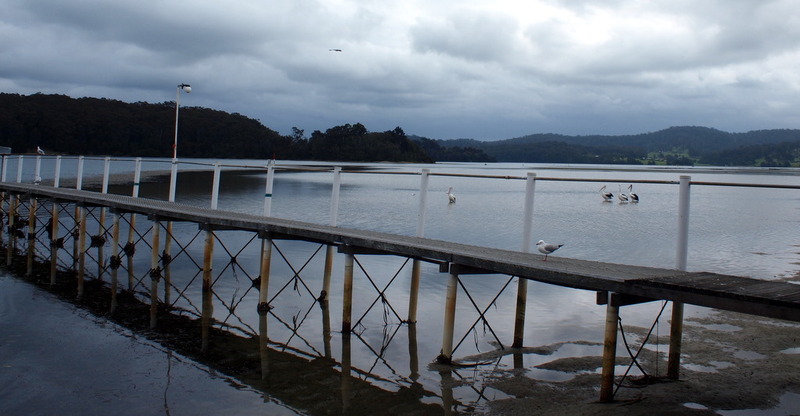 Now if only I lived closer to Narooma. Living in NSW might be a good start.